Tone is the resistance of muscle to stretch / refers to the state of muscle tension or contraction. Phasic tone: is a rapid contraction in response to a high-intensity stretch. Motor unit : One anterior horn cell + all the muscle fibers that it innervates . Weakness is a symptom of all motor unit disorders. In infancy and childhood, cerebral disorders far outnumber motor unit disorders.  Mother feels baby is floppy since birth.  Baby is alert, but less motor activity. onset, presenting complaints, rapidity of progression. neuromuscular disorders as turning requires adequate fetal mobility). Delay of motor milestones with normal intellectual development suggests possible defect in the motor unit.  Look at the parents’ face for evidence of myotonic dystrophy.  Look for pes cavus in the mother (Hereditary Neuropathy). 1. The first is based on identifying the neuro-anatomical site of the lesion or insult.  Macrocephaly – Associated myelomeningocele, Cong. Toxoplasmosis.  Tongue fasciculation – SMA.  Oxygen Catheter – Hypotonic CP, SMA, some congenital myopathies, MD, MG.
 Weakness is uncommon in UMN hypotonia except in the acute stages.  Hypotonia with profound weakness therefore suggests involvement of the LMN.  Ability to cough and clear airway secretions (‘cough test’). Apply pressure to the trachea and wait for a single cough that clears secretions. If more than one cough is needed to clear secretions, this is indicative of weakness.  Poor swallowing ability as indicated by drooling and oropharyngeal pooling of secretions.  The character of the cry — infants with consistent respiratory weakness have a weak cry.  Paradoxical breathing pattern — intercostal muscles paralysed with intact diaphragm. • Axial weakness is a significant feature in central hypotonia. • Generalised weakness with sparing of the diaphragm, facial muscles,pelvis and sphincters suggests anterior horn cell involvement. • With myasthenic syndromes, the bulbar and oculomotor muscles exhibit a greater degree of involvement. • Progressive proximal symmetrical weakness suggests a dystrophinopathy. Signs of proximal weakness in the older infant include a lordotic posture, Trendelenburg gait and Gower sign. • A striking distribution of weakness of the face, upper arms and shoulders suggests fascioscapulohumeral muscular dystrophy.  The presence of a facial diplegia (myopathic facies) suggests either a congenital structural myopathy or myasthenia gravis.  Respiratory and bulbar weakness can accompany both conditions.  Distal limb: Congenital myotonic dystrophy.  Previous intervention: Tracheostomy/scar – infantile botulism.  for size and fasciculations.  Fasciculations, irregular twitching movements, generally indicate an abnormality of the anterior horn cells.  Do not examine the tongue while the infant is crying.  The co-existence of atrophy would strongly favour a denervative aetiology. 1) spontaneous contractions of portions of individual motor units - may occur.  Weak cry/weak cough – Hypotonic CP, SMA, Cong. Myopathies, myasthenia gravis.  Tachypnea – Aspiration with SMA, CP, Congenital myasthenia, Pompe disease.  Paradoxical breathing (Diaphragmatic see saw breathing)– SMA.  Splayed lower ribs – SMA.  Increased range of movements of peripheral joints.  Joint hyper extensibility (connective tissue disorders).  Cardiomegaly – GSD type 2 and 3. GENITALIA: Hypoplastic in Prader Willi. o Initiated by grasping hands and pulling the child to sitting position. o It is not elicited in premature infants less than 33 weeks of gestation. o After 33 weeks, there is considerable head lag, but neck flexors respond to traction by lifting head. o At term, only minimal head lag is present. o Presence of more than minimal head lag and failure to counter traction by flexion of limb is abnormal and indicates postural hypotonia in full term newborn. o Examiner places both hands in axilla and with out grasping thorax, lifts straight up. o With weakness, infant needs to be grasped around trunk to prevent falling. maintains straight back demonstrates flexion at elbows, hips, knees, and ankles. Hypotonic infant drape over examiners hands with head and limbs hanging limply. Where clinical evaluation suggests complex multisystem involvement (i.e. hypotonia plus) inborn errors of metabolism should be excluded. o Independent sitting with/without hand popping. o Ability to reach overhead without lateral popping and tilting head back. o Arms over head, reaching to defined height. ability to grasp and elevate defined objects of various size and weight. o Gait – Trendelenberg’s, waddle. o Steppage gait with slapping feet. SMA is a common autosommal recessive disorder characterized by muscle weakness due to degeneration of motor neurons in spinal cord and brain stem nuclei. Infantile SMA – 4-10 per lakh live births. Pathologic continuation of a process of programmed cell death (Apoptosis), which is normal in embryologic life. A unique mammalian gene, SMN (Survivor Motor Neuron) gene arrests apoptosis of motor neuroblasts normally. · Involvement of tongue (fasciculations), face and jaw muscles. · No disturbance of cognition, sensation, sphincter tone and extra ocular muscles. · Progressive limb and intercostal muscle weakness. · Congenital joint contractures – club foot, arthrogryposis. · Never sit without support when placed. · Fine tremors of fingers called polyminimyoclonus. · No spontaneous movements except in hands and feet. · Level of social interaction is unimpaired. · Pulmonary insufficiency: intercostal muscle weakness à pectus excavatum, and flaring of lower ribs à bell shaped deformity. · Bilateral eventeration/paralysis of diaphragm occurs with abdominal breathing pattern. · Achieve normal milestones upto 6-8 months of age. · Legs tend to be more involved than arms à failure to walk. · Able to sit without support when placed in position. · Sitting, standing, walking is delayed. Walking is always temporary. SMA TYPE III : mildest form of SMA. · Onset any time after 18 months of age. · 3 years of age – SMA 3 b. · Proximal muscle weakness involving the shoulder girdle (25% have muscular hypertrophy). · Fasciculations in deltoid, biceps brachii and quadriceps femoris. 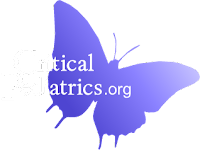 · Affected children have h/o normal motor milestones and walking until they begin to fall. · Some may appear very thin like ‘stick man’. 1) GENETIC TESTING: Sensitivity is 96%, 94% &82% in SMA 1, 2 and 3. 2) SERUM CREATININE KINASE: Normal in SMA 1 &2, Increased in SMA 3. 3) NERVE CONDUCTION STUDIES – Mildly reduced compared muscle action potential amplitudes and velocities. Normal distal latencies. 4) MUSCLE BIOPSY: neurogenic large group atrophy with evidence of type group. Characteristic pattern of perinatal denervation. 1) Restrictive lung disease, Respiratory Insufficiency may occur during sleep; responds to ventilation. 2) Failure to thrive – in infants; exacerbates weakness, fatigue, decreases reserve. 4) Orthopedic deformities – club foot, kyphoscoliosis, flexion contractures. Motor neurotrophic agents – Recently, Gabapentin – glutamate inhibitor used. SMA 2: 68.5% survives to 25 years. SMA 3: 70% of them are still walking at 10 years of age. o Feeding evaluation should be done. o Barium Swallow radiography using modified approach or Video fluoroscopy is useful in ascertaining need for gastrostomy feeding. o Orthopedic problems should be corrected by scoliosis, club foot deficits and contractures. Once diagnosis is made by genetic testing, do Genetic counselling 98% parents will be carriers with 25% chance for the next sibling to be symptomatic and 50% chance for the carrier state.